Metrics, graphs and monthly statistics. Click on the Dashboards icon in the left bar of the platform. 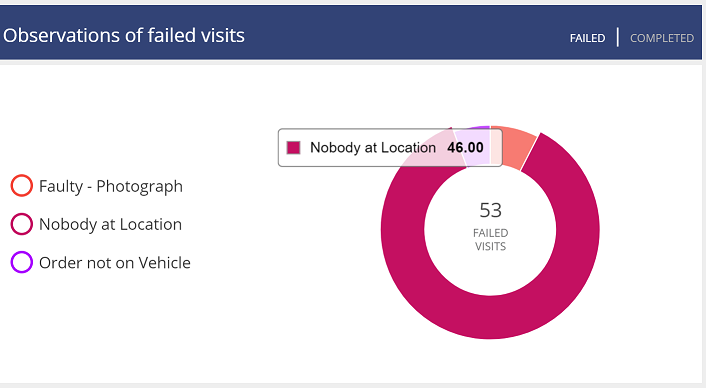 Here you'll visualize the quality of your logistics management through visits, vehicle and route indicators. 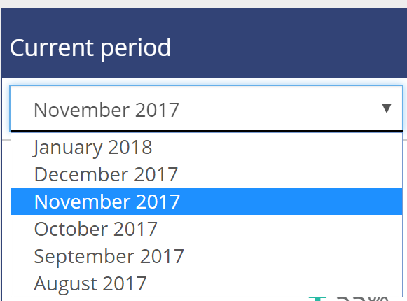 Select the month you want to review from the drop-down list and all metrics and graphs will be updated. For example, in the column on the left you will see the total visits routed that month and the percentage of successful visits. 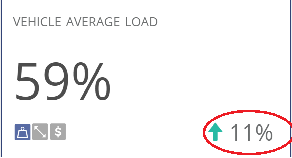 The number in the lower right corner represents the percentage change of that metric from the previous month. 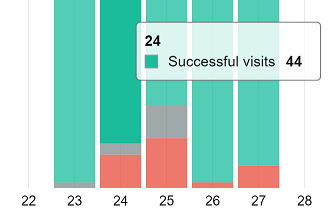 In the bar graphs, you will see the status of the visits that were made per day in different colours. If you pass the mouse over the different colors, the exact number of visits of each state will be displayed (green = successful, gray = pending and red = failed). 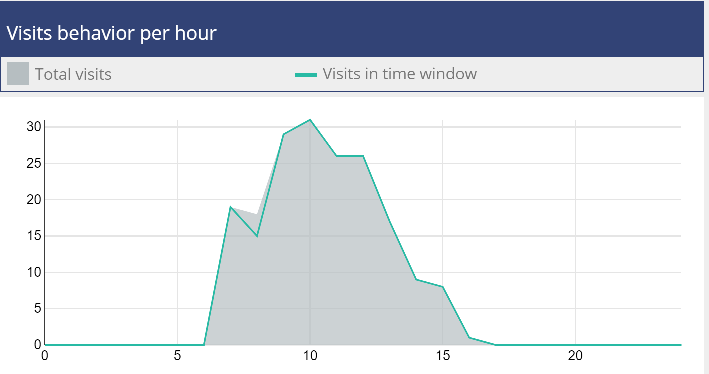 Below, you will see a comparison of the total successful visits compared to the visits that were made inside the time window. Also, if you have set Observations for the app, you will see a pie chart with the number of times each observation was reported in that month.